If you’ve spent more than a week online you’ll know that most websites ask you to log in in order to obtain the most functionality out them. It’s a necessary chore when shopping online and it’s mandatory for a lot of other sites, particularly if you manage any of your own. Years of working online have taught me the vital importance of password management and this why I wouldn’t be without Roboform Password Manager. Do you have locks on the doors of your house? Your windows? Your car? It’s pretty obvious isn’t it, yet despite this people still leave themselves wide open to theft, vandalism, and the distress and upset that can be caused if someone gains access to your online profiles with malicious intent. Password managers are software products which store your usernames and passwords for all the sites you visit and use. However, the good ones do much more than than act as an online copy of your scribbled post-it notes. The data needs to be stored in such a way that it cannot easily be seen. It needs to be kept up to date across all your devices. Storing all the password data in encrypted files. If anyone steals any of your computers, tablets, or phones they would need to know the master password to get into your password files. Synchronises between devices. You might have a desktop PC, a laptop, a tablet, and a phone. Roboform can synchronise between all of them so that your list of usernames and passwords are always up to date on each device. Automatically generates passwords. You’re using a new site which stipulates that your password ‘should contain at least 8 characters, one upper and one lower case character, one special character, and two digits’. Don’t sit there staring at the screen or scribbling notes. Use Roboform’s password generation function to create a new password that matches the criteria. Prompts to store new entries. When you register at a new site and create new login details Roboform spots this and offers to save the details as a new entry in the master file for you. Prompts to update existing entries. Your stored password has expired. You have to generate a new one. Roboform gives you the option to update the existing details. Fill out forms with one click. Tired of filling out forms with your name, address, date of birth etc? Do it once and store it as an identity. The next time you have to register at a site that asks for all these details Roboform will complete the form with one click. Password management on holiday. Imagine you’re somewhere with no wifi, no phone signal, and your only access to the internet is using a public PC in a internet cafe or hotel lobby. How do you find all those passwords? 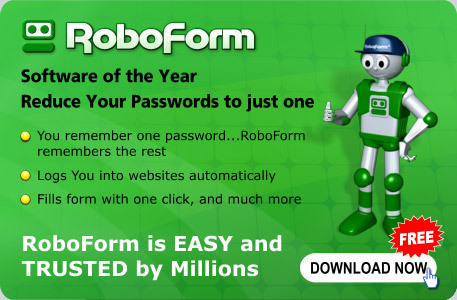 Carry Roboform with you on a USB stick, or log in to your account on the Roboform homepage. Imagine you log in to several sites every day. You’ve followed the best practice of creating unique, obscure passwords for each site and although you’ve stored them securely you have to keep looking them up and typing them out manually. Now multiply that time consuming chore by the number of times you have to do it each week, month, or year. 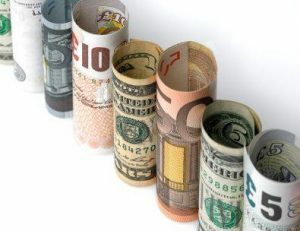 and then consider how time you would save if only the process was semi automated in the way that Roboform can do it. I’ve been using Roboform for about six years. It’s probably one of most useful software tools I’ve ever bought.